by Everett D. Allen, M.D. Thank you again for holding Subcommittee hearings to continue to examine the issue and the use of solitary confinement in our criminal justice and immigration detention systems. I worked at Pelican Bay State Prison (PBSP) from 1999 to 2006, serving two years as chief physician and surgeon. I spent about 75 percent of my time there treating solitary confinement patients and dealing with their medical issues. I also have spent subsequent years testifying in medical habeas corpus cases for adequate medical care for these same patients. I have also testified for PBSP CDCr (California Department of Corrections and Rehabilitation, the latter de-emphasized because it is a low priority – ed.) patients in several federal court cases and in SHU solitary confinement validation cases in local court. In our name, our federal government maintains long-term solitary confinement patients at Guantanamo, Cuba. The number of detainees there climbed to a height of greater than 700. Many of these suffered active torture in their confinement. Most of the detainees were found not to be affiliated with organizations on the U.S. terrorist lists. In other words, a large number of innocent detainees were subject to solitary confinement and torture. Some elements of these conditions are ongoing in Guantanamo. I should also mention that the National Registry of Exonerations has now tabulated 1,316 exonerations in the U.S. and counting. A number of these were death row inmates in long-term solitary confinement, even though they knew they were innocent. In 2006, a contingent of federal authorities from Guantanamo visited PBSP to learn from the CDCr how to medically manage long-term solitary confinement patients. PBSP particularly had long experience at managing long-term solitary confinement patients, and clearly the feds wanted details on how to medically manage such patients in the Guantanamo setting. At that time, Dr. Michael C. Sayre was the chief medical officer (CMO) involved in these would-be secret meetings. However, he leaked and informed two subsequent medical staff committee meetings by making untoward comments. He made statements that “they came all the way from Guantanamo to learn from us how to treat these patients when we should have been learning from them how to torture them.” Written complaints containing Dr. Sayre’s direct statements were forwarded to medical administration, but he remains in place at PBSP. He is de facto in control of medical care, particularly in the SHU (Security Housing Unit, one of California’s forms of solitary confinement – ed. ), even after uttering words that should have constituted a firing offense. What valuable advice and instruction Dr. Sayre could have given to the federal authorities remains to be questioned. Written complaints containing Dr. Sayre’s direct statements were forwarded to medical administration, but he remains in place at PBSP. Subsequently, in 2009, this same doctor who so blatantly spoke of torturing PBSP patients specifically was found personally guilty of cruel and unusual punishment in federal court. Prior to coming to work in the CDCr, Dr. Sayre was found responsible for the death of an inmate patient in the state of Washington, where, as a board certified anesthesiologist, he “forgot” to turn on the anesthesia machine for this patient. He also claimed to Medical Board investigators that he did not understand the significance of the falling oxygen saturation in this patient as displayed on the oximeter screen. In 2009, this same doctor who so blatantly spoke of torturing PBSP patients specifically was found personally guilty of cruel and unusual punishment in federal court. There are many challenges to medical staff attempting to deliver adequate and defensible medical care to not only solitary confinement patients, but also any incarcerated patients. In the CDCr, a number of federal court cases have been adjudicated or settled on behalf of CDCr patients, almost all under violations of the Eighth Amendment of the U.S. Constitution’s “Cruel and Unusual Punishment” clause. “Deliberate indifference to serious medical need” is the standard that must be proved to equal cruel and unusual punishment in the eyes of the courts. It is difficult to understand some of the defective medical care in solitary confinement patients that I will describe later, without describing more about the context of court-driven medical care in the CDCr. “Deliberate indifference to serious medical need” is the standard that must be proved to equal cruel and unusual punishment in the eyes of the courts. My boss went around me and performed and enabled what he had ordered me to do. As predicted, certain specific patients were damaged. In my administrative hearing relating to this charge and three other insubordination charges, demonstrating that the patient harm could have been prevented was easy and all charges were dropped. But, that did not help the damaged patients. Other medical staff was alarmed by my case, and we all understood better the intimidating environment that we were working within. In 2003, I caught a medical administrator forging my name and all of the physicians’ names on medical appeals documents. I confronted him and told him to stop doing it. I then informed the other physicians at a medical staff meeting of his activity. The administrator stopped for one month or so; then I caught him again forging my signature. He discontinued at that point as I threatened to file “practicing medicine without a license” charges. This all seemingly occurred apparently under the radar of the federal courts. In or about January 2004, PBSP changed its policy of writing prescriptions for patients newly transferred to be housed at PBSP. The new policy required the pharmacy to continue prescriptions originating from the sending institution, using the name of the last prescribing provider. The pharmacy staff declared that the new policy was illegal per state law. Because of this conflict between the pharmacy and medical administration, pharmacy could not legally fill prescriptions for newly transferred patients written by doctors who were not credentialed at PBSP. PBSP and CDCr demanded that the pharmacy issue the prescriptions per the new policy under threats of insubordination to the whole staff. I was not aware of the problem until I treated two patients in our ER on the same day for chest pain in mid-February 2004. Both patients had been at PBSP for more than a month and in addition to chest pain were complaining that they had not received any of their medications for cardiovascular disease that they had been taking at their prior institutions. Medical administration held firm when I confronted them. I aggressively accused medical administration of “deliberate indifference to medical need.” How could they rationalize patients not getting medications for up to six weeks in some cases while trying to get the pharmacy to do something that was illegal? Against specific orders to “not get involved,” I worked with the pharmacy and rewrote every delinquent prescription that we could find on newly transferred patients so that the patients could get their medications. This decompressed the immediate situation of weeks-long deliberate non-treatment of these patients. By March of 2004, I was so agitated by this situation and the realization that PBSP as a medical institution had actually deliberately not given patients their medications that I was forced to take weeks off for “down time.” Subsequently, the actions and postures of the PBSP pharmacy employees were defended and supported after an investigation into the issue by the State Pharmacy Board. However, the pharmacy staff was thoroughly demoralized by the whole affair. These are just two examples of how difficult it can be to do medical work in prisons. Medical care has to occur in this mix of a very defective, non-supportive medical administration and imposed security constraints in which well-meaning medical practitioners have to try to operate. So, I have a deep insider’s very malignant viewpoint on medical care and medical administration inside PBSP informed by my personal struggles and experience there, which are only minimally represented here. From my experience, I found it more difficult to deliver adequate medical care to patients in the SHU in solitary confinement than patients in the general population. The security is more rigorous and layered. Because of physical constraints and security staff’s anxiety about the length of time out of cell for what may be dangerous patients, the interactions with the patient are subtly pushed to be shorter than may be necessary for proper medical examination purposes. There are other intangible factors that contribute to this disparity in care, but a number of the custody teams that I worked with in the SHU did make good efforts to allow some of these patients access to medical care. Of particular concern are the recent cases of medical mismanagement of particular solitary confinement patients at the hands of Dr. Michael Sayre. In March of 2012, a patient with demonstrated hypothermia was allowed to freeze to death in his medical bed at PBSP. This patient had temperatures documented in the mid 80s Fahrenheit four days and then again two days prior to his demise. The patient also had clinically documented hypothermic temperatures for months leading up to his final CTC (Correctional Treatment Center) admission. Dr. Sayre prevented efforts by the staff to send this patient out to a higher level of care. PBSP is licensed only as a sub-acute care facility. The patient’s temperatures and progressive neurological deterioration were well documented. The patient was found unresponsive and was not able to be resuscitated at the site. The “bargain basement” rural county autopsy did not adequately clarify the cause of death. I have argued for a long time that controversial CDCr deaths need to be autopsied by more rigorous pathological examiners in the academic setting. A more recent patient was admitted to the Correctional Treatment Center from the SHU in November 2013 for urgent mental health treatment. Over a period of five weeks or so he complained of progressive loss of strength in his lower extremities. He also became incontinent of urine. Dr. Sayre wrote in the chart that the patient was faking his symptoms, and the patient was allowed to sit in his urine until he developed visible decubitus ulcers. Two separate nursing supervisors asked Dr. Sayre and another medical administrator about the workup of the patient, and specifically both inquired about cauda equina syndrome. Cauda equina syndrome had been recently diagnosed in patients at other CDCr facilities, and these two nurse supervisors were competently aware of those cases. Dr. Sayre stated that the patient had as full a workup as he was going to get because he was faking his symptoms. He also wrote in his notes that the patient had smuggled synthetic urine into his cell and had learned how to keep synthetic urine warm. A similar response was given on paper to one of the nurse supervisors from the other medical administrator. Custody became alarmed at the condition of this patient and actually came in and photographed the patient’s condition and his decubitus wounds. Custody then forced the medical transfer of this patient to CMF hospital in Vacaville despite Dr. Sayre. The workup at CMF actually revealed cauda equina syndrome. PBSP had performed no x-rays or other imaging studies to evaluate this patient during the two months or so that they had him as an inpatient in the CTC. In another very recent case, Dr. Sayre discontinued antibiotics two times on a post-operative patient from the SHU who had culture positive MRSA both in his urinary tract and cultured from his surgical wound site. Dr. Sayre refused to adequately evaluate a SHU patient who developed new onset severe headaches with projectile vomiting. After multiple presentations over months, the patient was found to have a large intracranial tumor. Dr. Sayre discontinued medication in a patient who had been on anti-seizure medication for years. He felt the patient was “faking” seizures. He did not bother to consult a neurologist to get guidance or an opinion on withdrawing the medication. Subsequently, the patient was found down in his cell with head trauma from an apparent seizure. The nursing supervisor in charge of the SHU summarized these described SHU cases and added three more Dr. Sayre SHU cases. In December of 2013, she presented the six cases to the deputy warden and warden in a desperate attempt to get some help specifically with Dr. Sayre’s extensive and damaging patient care of SHU patients as she witnessed it. The CDCr has recently failed to provide adequate medical care for the patients in its new prison hospital in Stockton. The federal receiver in charge of CDCr medical care, J. Clark Kelso, has ordered a halt to new admissions there. Clearly, the CDCr is incompetent at medical care at this point and is willing to allow the likes of Dr. Michael Sayre to continue to damage and to allow PBSP CDCr patients to die. I would hope that the cases described here are investigated at a very high level, including at the level of the California State Legislature, which should do its own independent investigation into these specific Dr. Sayre cases. The CDCr has proven incompetent at adequately investigating these cases. These types of cases generate tremendous financial liability for the state. 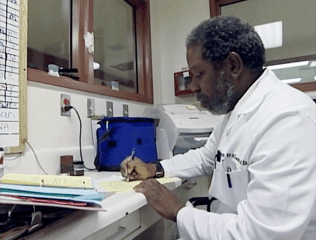 Allowing this doctor to continue treating PBSP CDCr patients sets back the goals of adequate patient care, especially for these long-term solitary confinement patients. Clearly, the CDCr is incompetent at medical care at this point and is willing to allow the likes of Dr. Michael Sayre to continue to damage and to allow PBSP CDCr patients to die. “Sayre-Care” at PBSP is damaging and should be ended. The removal of Dr. Sayre from medical practice in the CDCr was one of the demands made by the CDCr Hunger Strikers in their extended list of demands presented to the CDCr prior to the last Hunger Strike that commenced on July 8, 2013. “Sayre-Care” at PBSP is damaging and should be ended. Almost all of my court cases were for SHU patients, and the medical care in these cases was as substandard as these cases initially presented. Dr. Michael Sayre was almost always my adversary. However, two cases were habeas corpus SHU validation cases in local court that did not involve any medical testimony. In the one case that we lost, a long term PBSP SHU patient was charged with gang activity for writing to a bookstore on the East Coast. The plaintiff was a long-term solitary confinement patient with a particular Black Nationalist political belief system. He had written to an African-American bookstore to develop dialogue with bookstore patrons who shared the same Black Nationalist political belief system. I testified as an expert witness that there are many Black intellectuals, writers, artists and others outside of prisons who share the same or some elements of the political belief system that the plaintiff held. I stated that Presidents George W. Bush and Barack Obama had celebrated Kwanza, a 40-plus-year-old Black Nationalist celebration, in the White House. The court upheld the CDCr view that this plaintiff’s letter constituted gang activity, as if all Black people who think similarly to this plaintiff politically are gang members and criminals involved in prison gang activity. The court finding of this activity as gang activity then allowed PBSP to extend the plaintiff’s SHU term when, basically, he is a political prisoner by any definition. These types of decisions for non-violent political communications are made against SHU patients all the time and need to be examined for what they are. Many of the non-custody staff at PBSP have no understanding of how SHU terms are administered and extended using these types of internal-to-the-CDCr rulings – in most cases about nonviolent activities. CDCr has admitted recently that by new criteria almost 70 percent of the patients with SHU terms did not qualify to be there. What is clear is that a fail rate this high indicates that a deeply flawed process was in place. There clearly needs to be outside oversight and transparency in terms of how these patients have their SHU status adjudicated. The criteria that are used to determine SHU terms needs to be justified with demonstrable staff and public safety data. In other words, how does giving a solitary confinement patient two pairs of socks as opposed to four pairs enhance staff or public safety? Multiple studies have demonstrated how physically, spiritually and psychologically damaging solitary confinement is to these patients. Also, it is clear to me that solitary confinement, as it is currently practiced, presents issues of morality and conscience to medical and non-medical staff. Recently, the state of New York has agreed to severely restrict the use of solitary confinement in their statewide prison system after yielding to pressure from a federal lawsuit. This is a tremendous civilizing step forward for that state. Hopefully, the federal government, other states and jurisdictions and the CDCr will analyze this development carefully and follow suit. I believe that we as a country and as a state can do much better than we do now by reducing and eliminating the need for punitive solitary confinement and the consequential quarantining of human souls. Dr Jacobsen is no better add her to the complaint. She has shown to be cut from the same cloth as Sayre. The article also fails to mention that Dr. Sayre lost his "License to practice Medicine" in ALL 50 STATES due to the death of a patient (COINCIDENTALLY A PRISONER FROM THE LOCAL PRISON) for which he was found liable in Washington state. He lost his entire medical career, had to start from scratch, and then emerged to take revenge on patients in prison. What a remarkable story…and such a shame that it hasn't been picked up nationally (yet). Be careful the roads you take in his defense; there really is no defending the indefensible.